The wine estate Brühler Hof, run by the Müller family, is a Rheinhessen wine institution. In 1989, when Hans-Peter Müller introduced organic production methods other wine makers didn’t even think about organic wine growing, not even in their wildest dreams. But not here. Organic growing is the family’s top priority. You can see this in the vineyard where no chemicals are used and everything is done by hand. Herbs are planted in the middle of the vines to deter insects, for the same purpose pheromones are used instead of chemical aids. 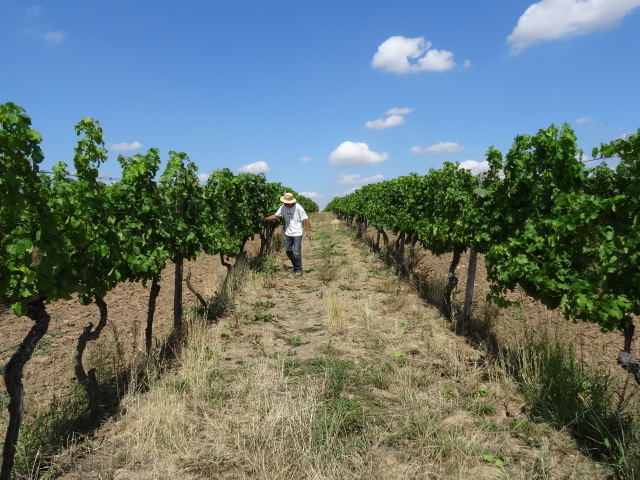 Working the vineyard at more than 30 degrees. 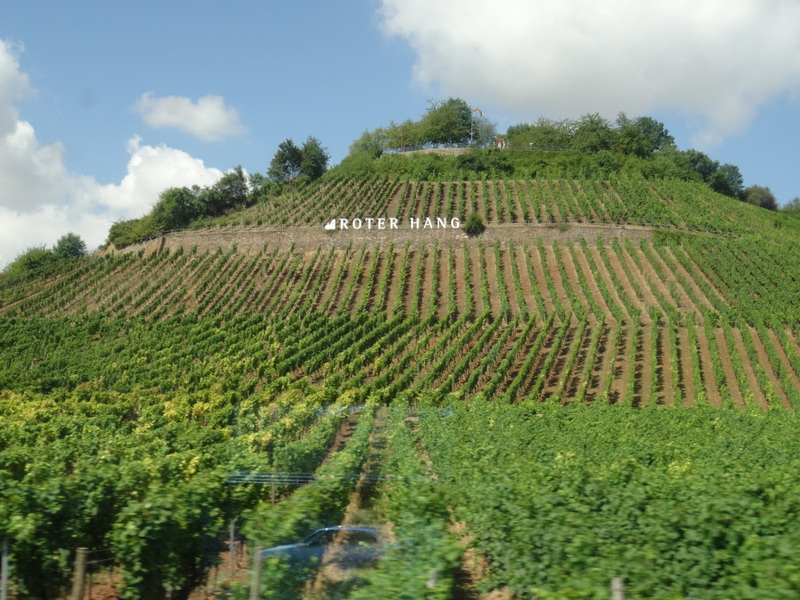 Wine region Rheinhessen is rolling hills territory. Here are some impressions of the scenery from my stay at the wine estate Brühler Hof in early August. Our small friend – the lady beetle. The Regent variety. Soon to be ready for harvest. Working the vineyard at sunrise. Finally: wine around the globe is starting. I am on my way! Full of excitement and nervousness, I am sitting on the train that takes me from Mainz to Mannheim and then on to Straßbourg, from where I will catch a bus to Westhoffen, Northern Alsace, France. The first stop on my wine around the globe tour. The site Roter Hang in Nierstein. 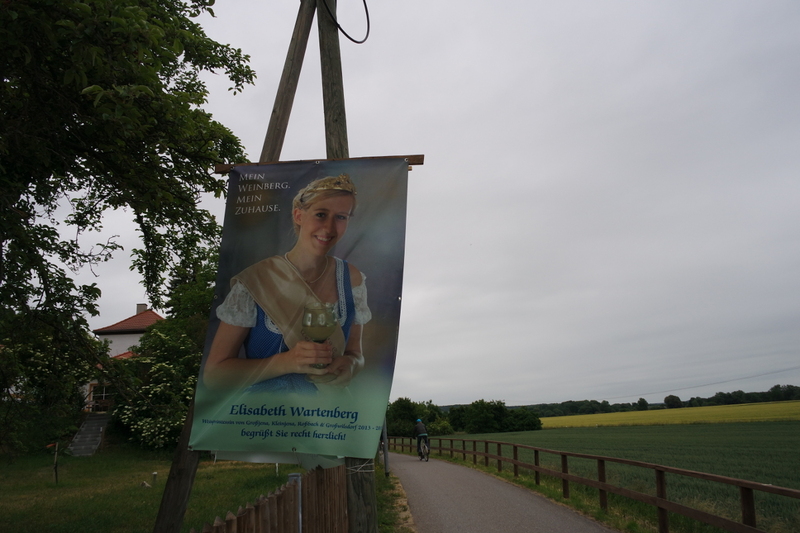 Walking past a huge poster of the Saale Unstrut wine queen, I truely wonder why I didn’t come here much earlier!